To many people they are just black, round and made of rubber but get underneath and you’ll find that there is more than one way to build a motorcycle tyre. In the fifth part of our Tyre Tech Talk series in RiDE Magazine in conjunction with our partners at California Superbike School UK we look underneath the surface of your motorcycle tyre to see just what is going on. 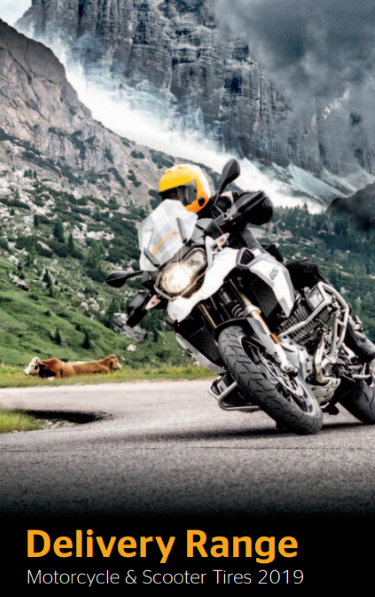 Continental made their first ever motorcycle tyre back in 1904, so we have a long and rich history in the world of motorcycling that has culminated in the range of market leading products and unique to Continental technologies that we produce today. For around 70 year tyre manufacturers all used pretty much the same method to build their motorcycle tyres. Fabric was covered with rubber and then vulcanised in a mould to product a tyre that created a cushion of compressed air around the wheel of a motorcycle, which provided both support and suspension whilst also gripping to the surface of the road. These tyres were constructed using the cross-ply method, which is also referred to as bias-ply. In order to strengthen the tyre manufacturers wrapped rubber coated fabric strips around the carcass of the tyre, overlapping one another to create an X-shape hence the name cross-ply. However in the 1980s with the introduction of superbikes there were suddenly a number of machines which were just too powerful to use this kind of technology. In order to make a tyre strong enough to cope with the forces it would be subjected to when placed on a superbike in the 1980s, a manufacturer would have to add multiple layers of ply which would make the tyre too bulky and heavy, and in turn the tyre would have overheated far too easily. As California Superbike School UK Deputy Chief Riding Coach Andy Peck goes on to say, it is amazing to think that some of the 80s superbikes like the Kawasaki GPz1100 or Suzuki Katana relied on such skinny tyres considering that they were so fast in their day. However as Andy states “Wobbles and weaves were part of biking back then”. 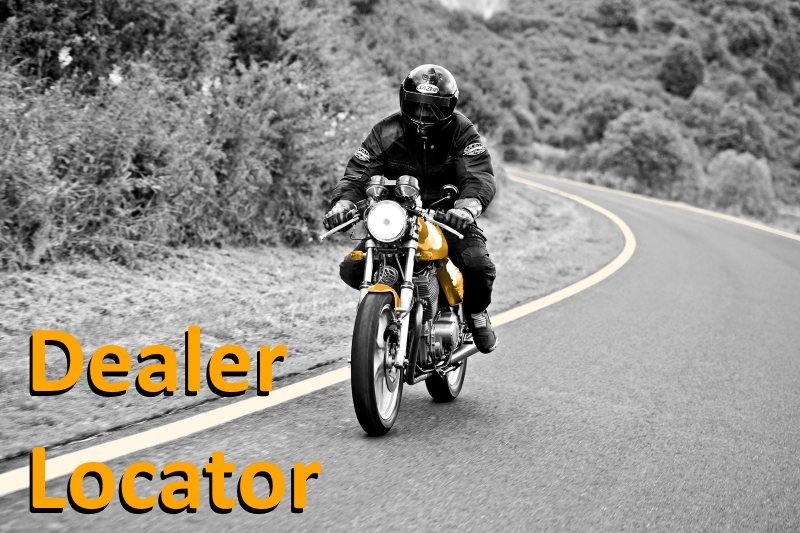 In order to meet the needs of this new and more powerful breed of bikes manufacturers began to produce motorcycle tyres using a radial construction, which were both lighter and stronger although more expensive to produce. 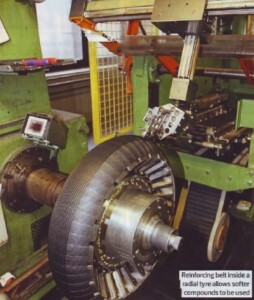 Using modern materials running across the tyre from wall to wall, and adding a zero degree reinforcing belt running across the top of the tyre much lower operating temperatures could be achieved. Thanks to the lower operating temperatures manufacturers were then able to introduce softer high performance compounds, as used on the likes of the high performance ContiSportAttack 2 hypersport tyre and all new ContiRoadAttack 2 EVO sport touring tyre. Radial technology also provided another benefit as tyres could be produced which had a much lower profile, providing a much wider footprint without making the tyre any taller which could introduce problems with handling and stability. As Andy goes on to explain there is one element that a tyre designer has zero control over, and that is the rider themselves. Every tiny little throttle roll-on and roll-off you do in a corner transfers weight backwards and forwards on the bike causing the carcass of the tyre on your bike to flex. This in turn changes the size of the contact patch. 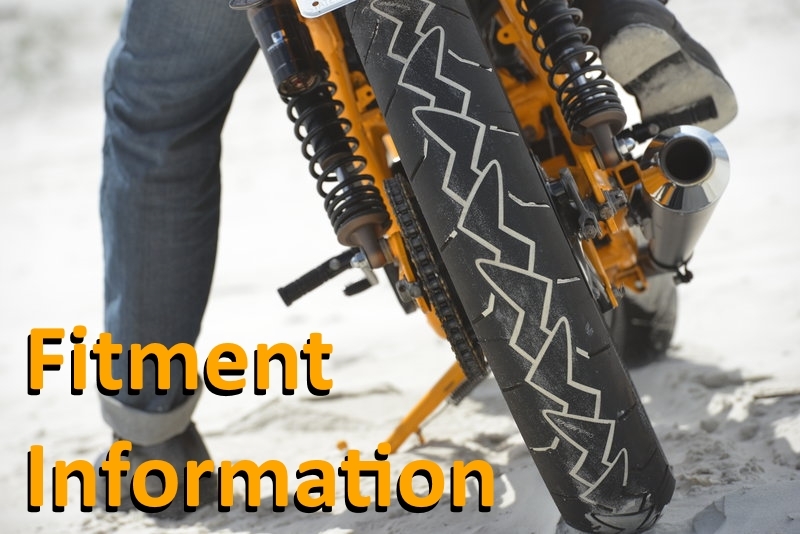 Andy states that your job as a rider is to maintain a constant contact patch size, distributing approximately 40% of the weight to the front of the bike and 60% to the rear. The rear tyre is bigger for a reason! This can be achieved with a nice smooth roll-on with the throttle. Cross-ply tyres are still produced in large numbers because the technology still works perfectly well on bikes that dont offer the highest speeds or levels of performance with products such as the ContiGo! with its wide range of sizes proving very popular. Bikes such as Harley-Davidson cruisers also use crossply technology, supported by an additional reinforcing belt. These are known as bias-belted tyres and include the ContiMilestone which now includes a new range of Harley-Davidson specific sizes for 2014. Safety was also improved dramatically with the introduction of tubeless tyres. Generally tubeless tyres deflate far slower than an inner tube would when punctured. In order to create a tubeless tyre, a layer of butyl rubber is added to the inside of the tyre carcass during the manufacturing process. This is the same material that inner tubes are made from. If you have missed any part of our Tyre Tech Talk series you can catch up with all the parts here!